Progressing the Warsaw Summit commitments, NATO Allied Command Transformation′s (ACT) conference on "Interdependency in Resilience" highlighted that building resilience demands persistent interconnectedness between the military, civil and private sectors. Conference surveys reinforced the potential requirement for a military concept, advocating collaborative working and fostering enduring, trusted relationships. ACT has taken forward several proposals, including support to follow-on national events, reviewing NATO training and education requirements, and refining the scope of a ′Collaborative Resilience′ (CoRe) military concept. The development of the CoRe concept is an integral part of SACT′s Commander Objectives 2018-2019 and will be focused on the enablement and sustainment of military activity, within the overall bounds of helping to enhance Alliance Resilience. For development of the CoRe Concept, ACT/JFTITREX (supported by ACT/CEI/OPEX) organizes workshops with idea to test the concept in NATO exercises in 2019. 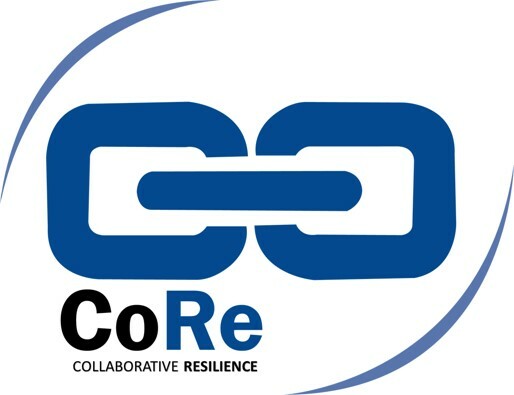 The 1st Collaborative Resilience (CoRe) Workshop was held in The Hague 20-22 March 2018, hosted by CIMIC COE. The event was well received and attended by NCS, COEs and wider civil and private sector representatives, in total 31 participants from 15 nations and 11 different NATO bodies, and included key speakers from NLD MoD, IS-OPS Civ Prep and the private sector. The workshop was planned and conducted in such a way to maximise participation and ensure all perspectives were captured. The workshop succeeded in effectively bringing together the principal military functional areas of expertise (JENG/J4/JMED/J9) with Nations′ Public Sector representatives, NATO HQ IMS/CEPC & IS-Civil Preparedness and the private sector. 34A, Totleben Blvd, Sofia 1606, Bulgaria. For the participants is made a blocking reservation in the hotel Shipka. Hotel complex SHIPKA *** is situated in the center of Sofia, 5 minutes away from the National Palace of Culture. Its location provides convenient transport connections to the administrative and trade center of the capital. The rates for the single room is app. 40 euros included breakfast, fitness, Wi-Fi and parking slot. The hotel is using mostly for military accommodation and payment should be made only in BGN leva. Please, if you have intention to use another hotel to inform the organizers. Registration is now open up to 03rd of September 2018. The dress code for the event is smart casual for attendees. NATO Security Clearance is not required. The working language will be English and interpretation services will not be provided. CMDR COE will organize 2 coffee breaks per days. Lunches will not be provided. A valid passport is required for entry to Bulgaria for some non-EU countries. For further information and visa requirements, please contact the Embassy/Consulate of the Republic of Bulgaria in your respective country. (For more details – http://www.mfa.bg/en/pages/view/85 ).Participants from EU countries can use their ID cards. There are direct flights to Sofia from the most major European airports. Generally, the international flights arrive at Terminal 2 of Sofia Airport. The drive from there to the CMDR COE premises is a short one and should not take more than 20-30 minutes. Both Sofia`s Central Rail Station and the International Bus Station are located close to the downtown. If arriving by car, be aware of the numerous speed traps at the entrances to the city as you will end up with a not insignificant spot fine. The taxi services in Sofia are cheap and reliable and there are a small percentage of frauds. All taxis should be colored in yellow and operate by meter – it’s worth checking if the meter is on. The CMDR COE strongly recommends the services of OK Supertrans, Eurolease, Yes and Yellow333. Their cabs are recognizable by their call-centers always well shown on vehicle’s sides. It is recommended to check the prices before you enter the car to avoid overcharge. At the airport use the official taxi booth inside and out of the Terminal 2. Use of unofficial taxi may result in overcharge up to 10 times the normal fare. A taxi ride to the central parts of Sofia should not be more than 20-25 BGN. The payment should be made in Bulgarian currency only. You can exchange currency at the airport or use the ATM. The public transport in Sofia is composed of buses, trolleybuses, tram networks and an underground as well. The city is amply covered by an interlocking network with services running from about 05:00 to 23:30. Single-journey ticket costs 1.60 BGN and can be bought from street kiosks at the stops or from the driver. Ticket must be validated on board using the metal punchers near the windows. A single-trip ticket may be issued by on-board vending machine in trams and trolleys for each journey. The metro tickets have the same price (1.60 BGN) but are different from those used in ground transport, and can only be purchased from ticket counters in the underground stations themselves. Sofia has an area of 1310 sq. km and population of 1 177 577 inhabitants. CLIMATE: Autumn in Sofia can be extreme. Temperatures are typically daily warm up to 25 degrees Celsius but night temperature could reach 5 degrees Celsius or even less. The temperatures are accompanied by precipitation of rain. Please bring suitable clothing. CURRENCY: Bulgaria’s unit of currency is the Lev (pl. leva), code – BGN. It is in fraction of 100 stotinki (singular: stotinka). The denomination is coin of 1 Lev and banknotes of 2, 5, 10, 20, 50 and 100 Levs. The exchange rate against the euro is fixed at BGN 1.95583 for €1. EXCHANGE: Many international banks and Foreign-Exchange Offices operate in Sofia. Currency exchange at the airport on arrival or departure, and in the hotels, is also possible. Do not exchange money in the streets or outside financial offices despite the bargain rate offered: you risk being cheated! BANKING HOURS: From Monday to Friday 09:00 – 17:00. Most of Foreign-Exchange Offices are open until 6 PM, and some around the clock. For more information on the actual rates it is better to consult with the Bulgarian National Bank (BNB) website: www.bnb.bg. Most of the banks have very friendly web portals where can find concerning information as well as the location of their ATMs. TELECOMMUNICATIONS: International direct-dialing access code for Bulgaria: +359, for Sofia: +359 2. Cell phones are widely available where mobile services are provided by three operators A1, Telenor and Vivacom. Another one is MaxTelecom however it is specialized in Wi-Fi supply. DRINKING WATER: The tap water is safe to drink. Bulgaria′s vast supplies of mineral water are widely available in 0.5 litre and 1.5 litre bottles. They are very tasty and not expensive. Stick to well-known brands such as Gorna Banya, Devin or Bankia. ELECTRICITY: Main voltage 220 V/50 Hz, round two-pin plugs. MOTORING: Drive on the right, overtake on the left, cross only when the traffic light is green, give right of way to vehicles approaching from the right at crossroads and to buses in urban areas, carry your International Driving Permit, ride with lights on at all times. The use of seat belts is mandatory for all passengers, except pregnant women. Speed limits are 50 km/h urban, 90 km/h outside and 130 km/h highways.